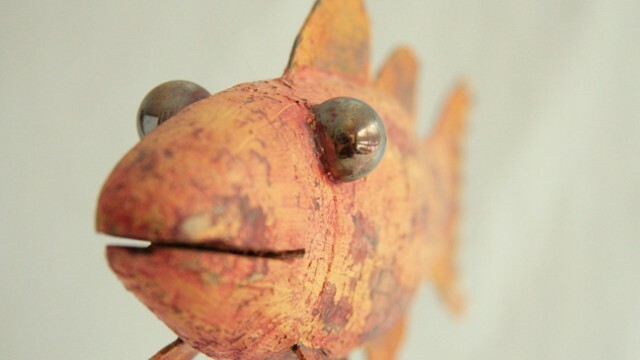 Craig Dicken, Folk Art Fish | Carved fish, inspired by fish decoys from years past. Carved fish, inspired by fish decoys from years past. Traditional decoys were utilitarian, were not labored over and were not necessarily realistic but gave the creator/fisherman an opportunity for a small degree of artistic expression. I have elaborated on that theme with carved fish. My take on fish folk art is fish on wheels, schools of fish, fish on a wall, and fish on a pedestal. It gets pretty fishy around here.